The El Paso del Norte region continues to grow and serve as a key connection point between Mexico and the Southwestern United States. Economy Wholesale Grocers has been proud to call this area home since our founding in 1958. With key customer relationships in Mexico, this convenient location allows easier shipping across the border, enabling us to get our products to customers more quickly. More than 2.2 million people now reside in the Paso del Norte region, and its roads provide easy connection to the surrounding areas and Mexico, creating a hub for commerce and growing opportunities. Economy Wholesale Grocers has seen incredible growth in this region over the years, and that growth is reflected in our own business as we continue to expand our services as the region’s top wholesale grocer. We are proud to be part of this incredible community, and know that by doing our job well, we help play a role in seeing your community continue to grow and thrive as well. The number of exports from the U.S. to Mexico is higher than the number of exports to China and Japan combined. Mexican immigrants own 570,000 companies, which is 1 out of 25 companies in the U.S. In 2015: 10,000,000 passenger vehicles, 1,000,000 trucks, and 7,250,000 individuals on foot crossed the international bridges connecting Ciudad Juárez to El Paso. Border commerce represented $329 million, 64% of the total trade between the U.S. and Mexico. 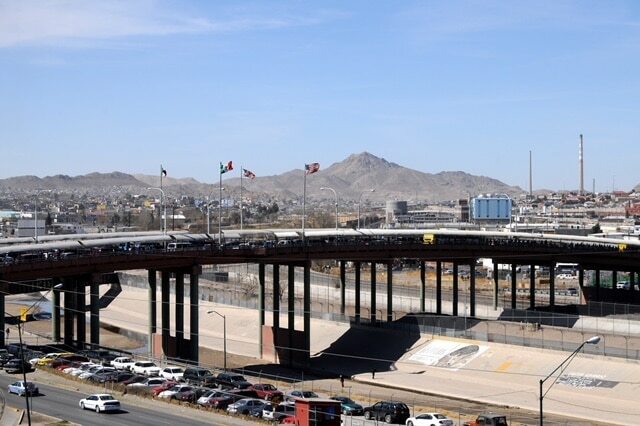 More than $250 million flows through the Ciudad Juarez – El Paso corridor every day as a result of border commerce.